Created in 1989, Essence of a Lady, Inc. is an award-winning 501(c)3 nonprofit which recruits professional and entrepreneurial women to help educate, mentor, and empower school-age girls. Its two signature programs were established in 2007. Essence Ladies (aka E’Ladies)Network is a philanthropic network comprised of women 20 years old and up who gives their time, talent and treasure for the better good, specifically to support women and girls. Young Essence Ladies…Learning (aka YELL!) is our mentoring program for school-age girls 6-19 years old. 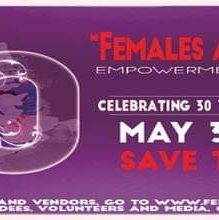 The 5th Annual Females are FABULOUS Empowerment Conference is Essence of a Lady’s annual fundraiser for YELL!Programs. It is hosted by the women of E’Ladies Network. This year’s conference will take place Friday-Sunday, May 31 to June 2, 2019 in Houston, Texas. This year’s theme is focused on celebrating Essence of a Lady’s milestone, “30 Years of FABULOUSNESS for Philanthropists!” At this event, girls will connect with professional and entrepreneurial women of all ages in different industries. Deemed the “Ultimate Sleepover” mothers and daughters, grandmothers and granddaughters, aunties and nieces, besties, sisters, and mentors and mentees will spend the weekend being pampered, fed, and empowered!! They will participate in over 5 events from business, christian and community leaders. The Friday night VIP reception with the Scholarship & Awards GALA will recognize sponsors, supporters, and girls. We recognize women with the “FABULOUS Female Award” for their unyielding support of girls during the school year and give special recognition (FAB) Awards and scholarships to girls in the YELL! program. Saturday morning kickoff will promote civic support for local and state representatives, mid morning health and wellness panel discussion and our most popular Beauty & Fashion Show Luncheon happens at noon. Our unique event, YELL! Fun and E’Ladies R&R takes place Saturday evening 4-11pm. Finally, we will close out the event on Sunday, June 2, 2019, with a spiritual celebration!! How can you help make this the most memorable event for school-age girls? By supporting us through our sponsorship packages below. To accommodate this “ULTIMATE Sleepover” for women and girls from around the world, we have secured a block of rooms at a discounted rate until May 10, 2019. For more information, contact us at joannajayiscott@eladies.org or register at www.eladies.org. Copyright © 2019 FEMALES Are FABULOUS! 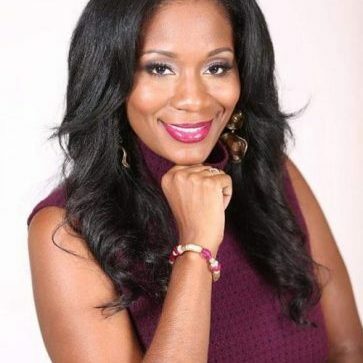 - women are recognized for their fabulousness in the community, church, family, and business!